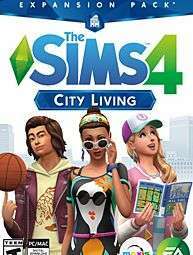 An age after the release of the last Sims 4 expansion, and with only stuff and game packs to sustain fans, EA have just announced The Sims 4 City Living, due for release on 1st November (North America) and 3rd November for everyone else. 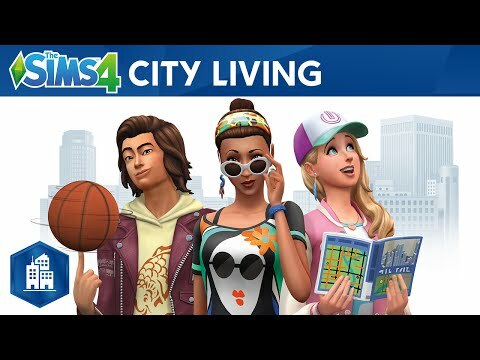 As with city expansions before it in previous iterations of The Sims, this expansion will see players whisked away to the big city – this time to San Myshuno – to enjoy the highs and lows of city life. As one would expect, apartments will be a key feature, with the ability to personalise the space to suit your style. And they aren’t just tiny boxes this time around – players will now have access to a range of different apartment types, from starter apartments to spiffy delux penthouses with views to die for. For those who want to escape the urban sprawl and relax, then Sims can visit the new park, Myshuno Meadows, where Sims can get hitched in blissful green surroundings, or otherwise enjoy socialising or getting involved in some as-yet-unspecified festivities. EA have also mentioned different architecture, districts, and cultures, although little is known at this time. Cultures and districts do, however, throw up some interesting possibilities as far as things like restaurants go. Perhaps we’ll be seeing some new recipes or interactions. Also included are festivals, creating graffiti, and basketball. Little is currently known about new moodlets, patches/updates, and traits, but we’ll keep you posted. Until then, enjoy the screenie and trailer.